The Confocal and Epi-fluorescence microscopy platform has state-of-the-art equipment to observe and analyze both live and fixed samples with an endogenous fluorescent label, or marked with fluorescent molecules, intercalating agents or antibodies bound to fluorophores. Zeiss LSM710 inverted microscope with Live Imaging System. Both devices have lasers of 405/458/488/514/543/633 nm. Zeiss AxioObserverZ1 inverted microscope with Live Imaging System. The equipment has LED lighting 385/455/470/505/555/590/625 nm. 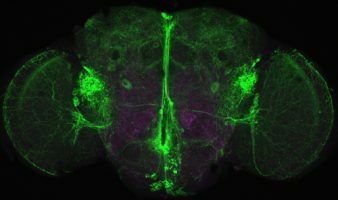 The Confocal and Epi-fluorescence microscopy service is open to the scientific community through the National Microscopy System, dependent on the Secretariat of Science, Technology and Productive Innovation.